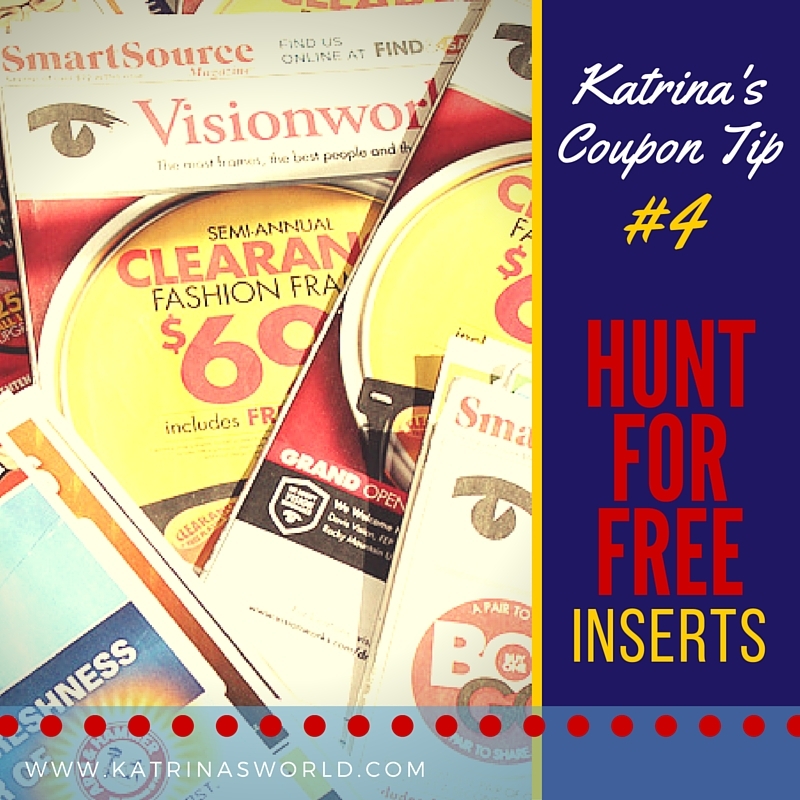 FREE coupon inserts can be found in all sorts of places! You just need to be creative! On Sundays mornings make a stop at your favorite bagel/coffee shop – you can usually find a discarded Sunday paper lying around. 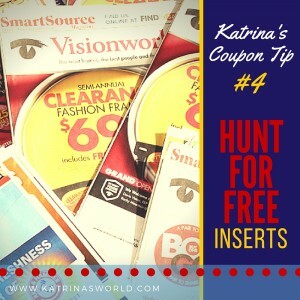 Ask the owner if you can have the coupon inserts! Try any place you can think of where people like to go sit and read the paper – places like bookstores, restaurants, coffee shops, even grocery store coffee shops. Be honest and make sure you ask permission before you take home any inserts!